This week the contractor is beginning to install storm sewer pipe down Richard Street. This pipe installation will require the closing of Richard Street to through traffic. Local access will remain open at all times for residents along Richard. Mail delivery will be temporarily relocated to a bank of mailboxes located on the northwest side of the Auburn/Richard intersection. Tree service removing trees near power lines. Neighbors in the area should continue to expect to see large equipment moving in and out of the site along Richard, Dean, and Auburn Streets. As with all construction projects this timeframe is subject to weather and any other unforeseen delays. 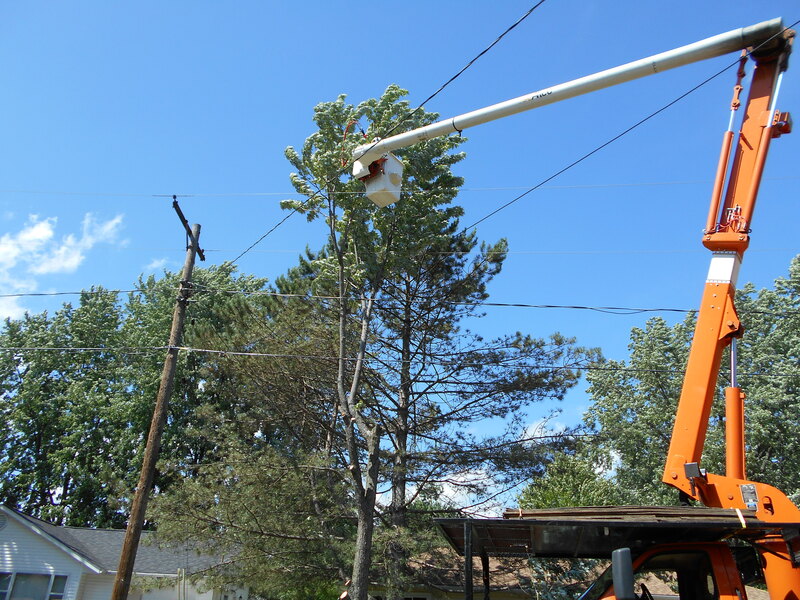 Asplundh tree service has completed the removal of several trees that were in close proximity to power lines. Smith Tree and Landscape will be continuing to remove some remaining trees ahead of the pipe construction. You may see these crews throughout the neighborhood working to stay ahead of the main construction activities. Consumers Energy is continuing to relocate their gas mains ahead of the drain project. They are currently wrapping up work on Phillips, Adelpha, Burton, and Kathy Kourt. The remaining work is primarily connecting service leads and performing restoration.